1.Great for 2020 party event. 2.Our clear plastic glasses are perfect at any party or new year celebration. 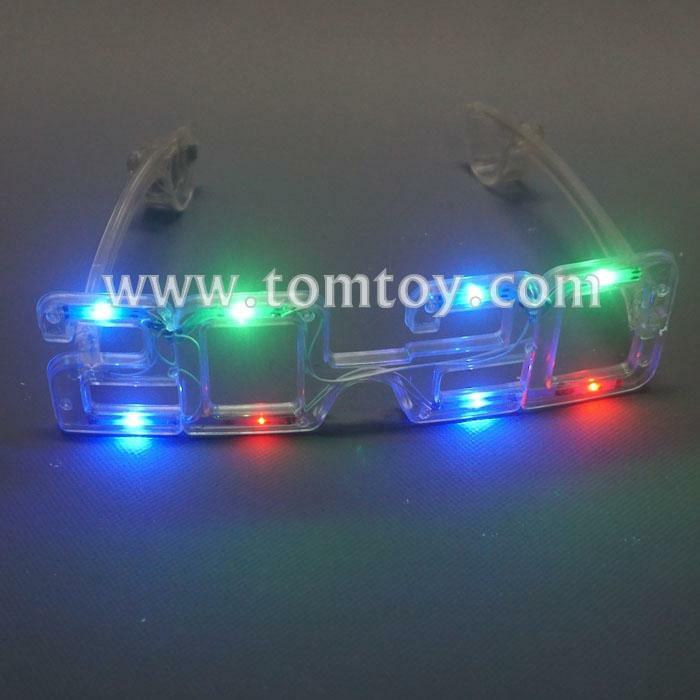 3.These glasses feature 2 red, 2 green, and 4 blue LEDs. 4.Our eyeglasses have 3 modes: fast blink, slow blink, and constant. Use the on/off button to change the mode. 5.Batteries are included and installed.1 pair of LED glasses each polybag.